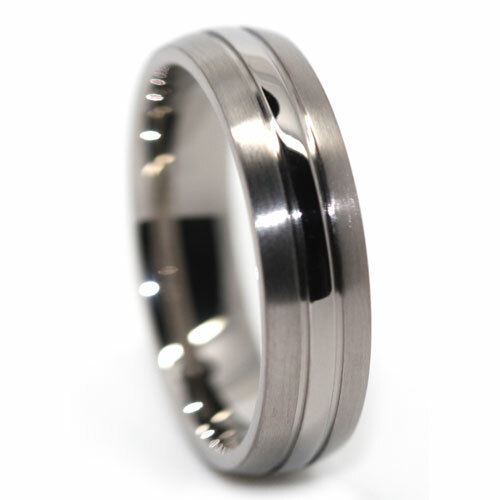 This titanium wedding band features a two tone finish. A polished center band with satin edges. 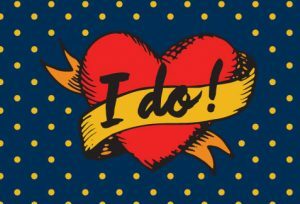 It’s a slight spin on a classic wedding band that will stand the test of time. A great choice.